In 2017 Coloreel won the prestigious Texprocess Innovation Award for outstanding new technology. Now they return to the fair with the world’s first digital instant thread coloring product, the Coloreel unit, fully industrialized and available to the market. The Coloreel technology enables high-quality instant coloring of textile thread while in the textile production. The first product based on this technology is the Coloreel unit that works with any existing industrial embroidery machine. By instantly coloring a white base thread during the embroidery production, Coloreel enables complete freedom to create unique embroideries without any limitations in the use of colors. 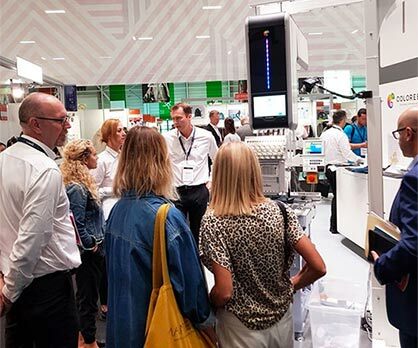 Texprocess is the place where the latest machines, plants, processes and services for the manufacturer of garments and textile and flexible materials are presented. Techtextil, the leading international trade fair for technical textiles, takes place at the same time. ”We return to Texprocess because it is one of the most important fairs for the textile industry with huge international impact. The fair attracts a lot of visitors who are looking for state of the art technologies and products. 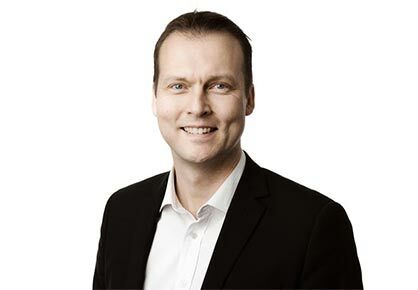 All who will visit our stand will understand why Coloreel is the future of embroidery”, says Magnus Hellström, VP Sales & Marketing at Coloreel. “Coloreel received the 2017 Texprocess Innovation Award for its instant thread coloring technology. Consequently, we are delighted that the company is making such an extensive presentation of its innovations at Texprocess. This shows that Coloreel has identified a market potential and succeeded in developing a successful and marketable product“, says Michael Jänecke, Director Brand Management, Technical Textiles and Textile Processing, Messe Frankfurt Exhibition GmbH. Coloreel will demonstrate the many possibilities of the Coloreel unit at Texprocess 14-17 May, at stand C42, Hall 5 the visitors will be able to watch the revolution live and also meet Coloreel distributors.